Neighbours concerned about a proposed footpath through a new housing scheme were told that it was definitely off the cards. 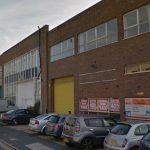 People living in School Road, Hove, were worried about pedestrian access from Stoneham Road through the planned housing and office scheme on the former Westows and Cliffords site. The cut-through appeared and then disappeared from the plans. 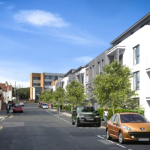 Other changes to the design of the block of 104 flats in School Road, Hove, were approved by Brighton and Hove City Council Planning Committee yesterday (Wednesday 6 March). All the homes are classed as affordable, with 60 available for “social rent” and 44 for shared ownership after developer Hyde New Homes received funding from Homes England. Natasha Allen spoke on behalf of her neighbours who were upset that they only heard about the changes to the plans by accident. She said: “We are never certain what is current and what isn’t. “For example, the link to Stoneham Road was out, was in, was out. From our perspective we would like absolute confirmation that link will not be put back in again. The plans now include 77 spaces which she described as “unrealistic” considering the number of properties on the site. Simon Bareham, from planning consultancy Lewis and Co, told the committee that residents would not receive parking permits. Parking spaces on the site would be shared by residents and offices, with the aim of there being some overlap. Councillor Robert Nemeth told the Planning Committee that many neighbours had only heard about changes to the outline planning application from him and fellow Wish Ward councillor Garry Peltzer-Dunn. He said: “After understanding that they had beaten a proposed link from School Road to Stoneham Road on the outline application, it then reappeared and was then removed. “This is all very hard to keep up with and distracts from other important issues. He was critical of outline planning applications being approved then being adjusted, saying that the whole process was hard to follow for residents and councillors. 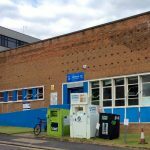 The Planning Committee voted unanimously to approve the changes to the outline design, which includes bin storage and adjusts the maximum building height to account for the proposed lift shafts.